Between careers that no longer fit the old 9-to-5 model, shuttling the kids between school and sports, daily chores and activities with friends and family, time is a valued luxury. Maybe that’s why shopping online is increasingly popular, fitting into convenient moments and freeing up time for other activities. 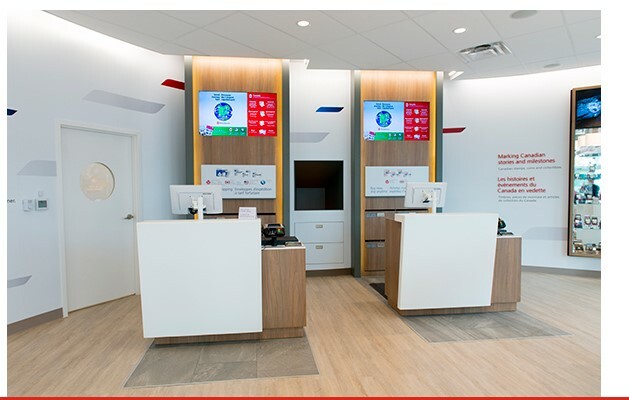 The grand opening of Vancouver’s new Main Post Office at 495 West Georgia highlights just how convenient online shopping can be. There’s a 24/7 postal box section, a changing room to try on clothing orders – and return them at once, plus other handy features to accommodate your busy schedule. A 24/7 self-serve shipping kiosk and automated parcel drop box, where you can ship night and day. A changing room where you can try on your online purchases immediately – and then return whatever doesn’t work for you minutes later. 24/7 postal and parcel boxes where you can pick up on your own time, securely, even when the store is closed. A vending machine that allows you to buy stamps and shipping supplies 24/7. The new automated shipping centre is open 24/7. It will measure and weigh your item and you can even get packing materials from a special vending machine. Whether you’re a budding entrepreneur running your small business orders after the regular work day, returning an online order that didn’t satisfy you or trying to get a birthday gift to someone you love – you’ll be able to select the service that offers your preferred balance of speed and price. Your new, online-friendly post office also gives you access to 24/7 parcel and postal boxes, plus stamps and shipping supplies any time of day and night. 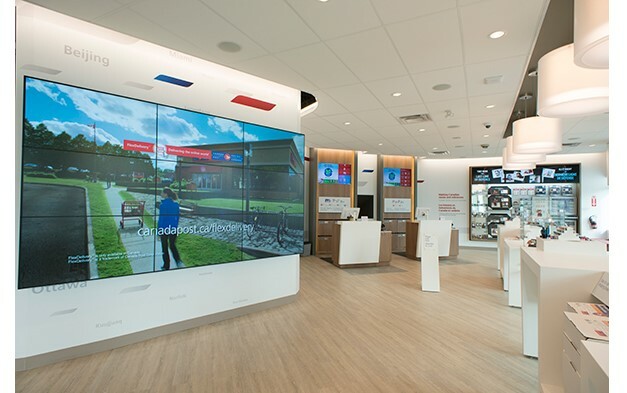 These locations include many of the same convenient 24/7 self-serve features, with one additional element: a drive-thru for easy parcel pickup. 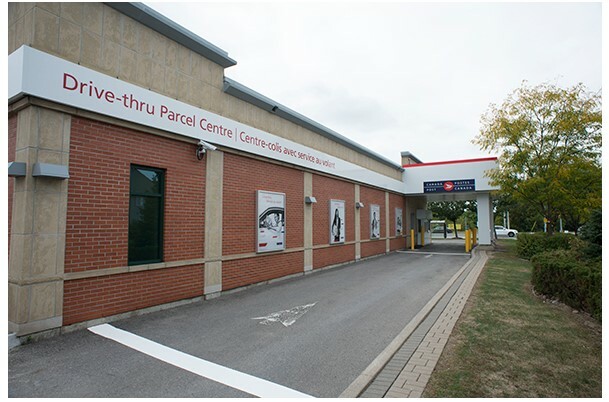 Send your online purchases to our new drive-thru parcel centres with FlexDelivery™. It’s an exclusive Canada Post service that allows you to have packages delivered to a post office of your choice, instead of your regular home address. Sign up or sign in now. 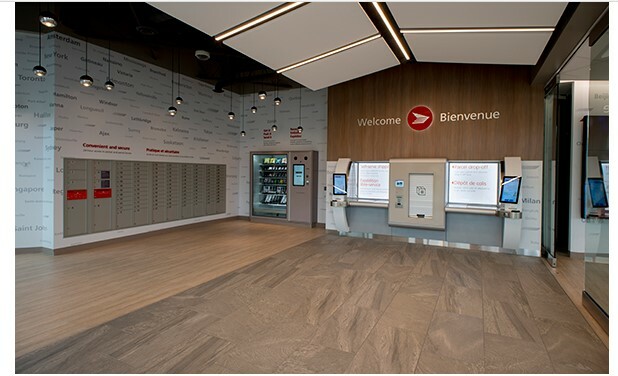 When prompted to add a post office, just enter the address of your choice: 8889 Yonge Street (Richmond Hill) or 17310 99 Ave NW (Edmonton) and follow the instructions. You’ll receive a special FlexDelivery1address to use when shopping online. 1 FlexDelivery is a trademark of Canada Post Corporation.